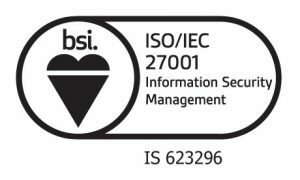 The renewed ISO 27001 accolade showcases the team’s continuous commitment to information security and data protection. Looking at the entire scope of the business, from how the company purchases teabags to its comprehensive staff vetting procedure, the BSI assessed and commended virtualDCS on its processes and unique structure. ISO 27001 is the international standard for best practice for information security management systems, covering technical and business controls that ensure a company is managing its data in the most secure way possible. “There’s often some confusion around the standards and what they cover, but in essence, the re-certification shows that we’re managing customer data in the most secure way possible. This means that anyone that works with us can continue to be confident that we’re handling their information with the utmost sensitivity. Re-certification was truly a team effort as each employee within the company is responsible for a set of unique standard operating procedures. These procedures are monitored and updated by the appointed team member. virtualDCS chose to deploy this unique approach so that information security would be at the forefront of everyone’s mind and at the heart of the business.